Every summer camp the first item of business is to mop and disinfect the floor of the cafeteria from mildew. High humidity and the tropical climate creates an ideal environment for mold to grow. Vigilant care must be taken to disinfect with cleaning chemicals that actually kill mold, a feat not easily accomplished, since the mildew embeds itself in the pocked concrete. We mopped with brooms made of cloth strips. Fortunately many hands makes for light work. We are at full compliment as a team — 38 people. We are hiking Jighonshan today with a group of Americans who have gathered in Lijiazhai to help staff an English Camp for 350 children over the next 5 weeks. 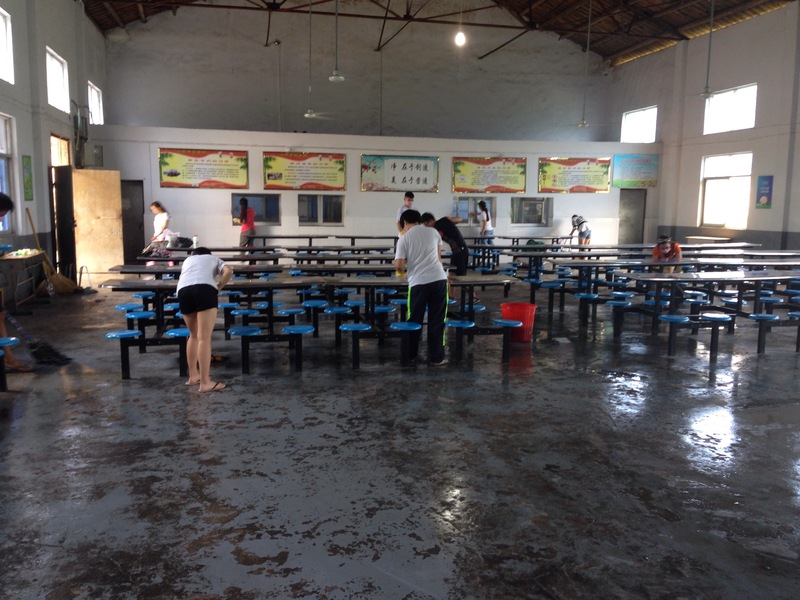 These camps are sponsored by China Service Ventures (www.chinaserviceventures.org) and run by Mei Wen, Inc. (a social enterprise organization) in Henan, China. They focus on serving children at risk from rural villages with economic hardships and absent parents. 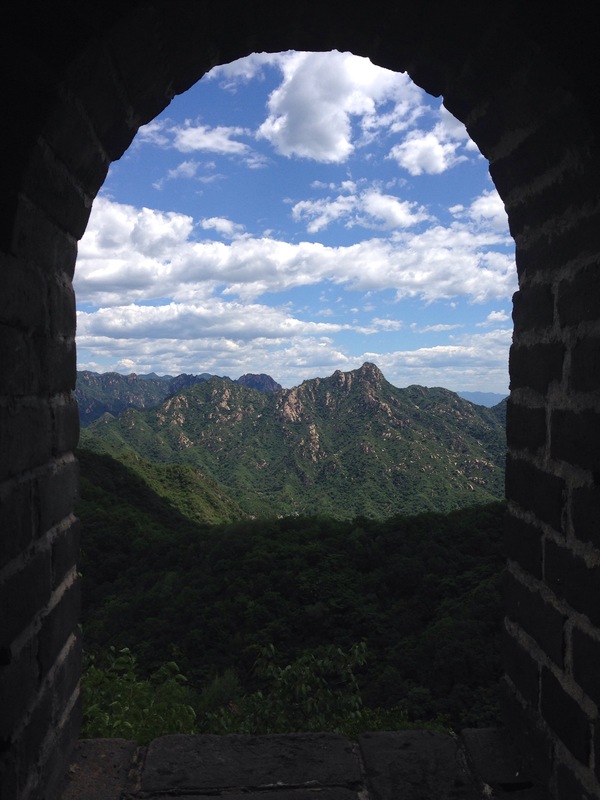 Mutianyu, a favorite Great Wall site among visiting dignitaries and tourists, has undergone some drastic remodeling and reconfiguration. 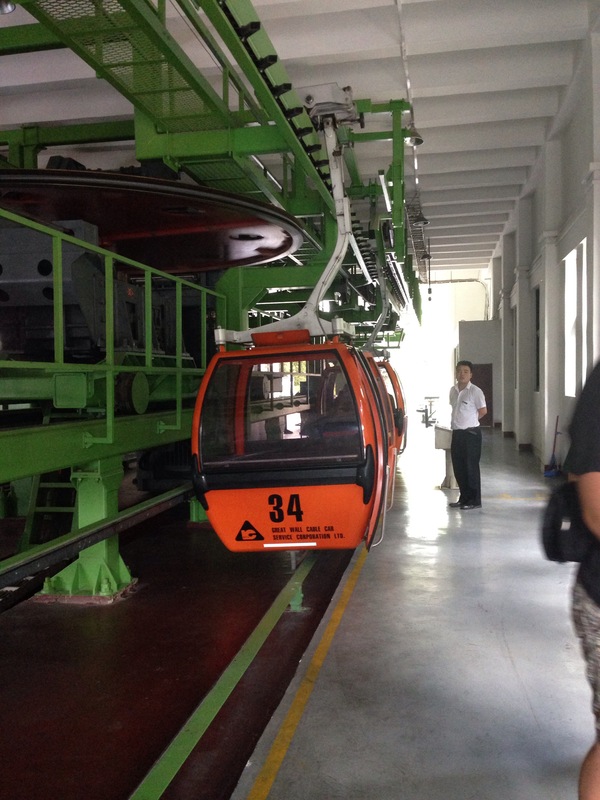 Buses now transport visitors within a short walk of the gondola that takes visitors to the Great Wall. All the shops that once lined the narrow street, forming a gauntlet of market hagglers has now been relocated and dispersed down the mountainside to a spacious shop area at the point of entry. All this change occurred within one year’s time! The weather was extraordinary with no haze and clear visibility as the photos attest. Today we went to distribute Bo Ai (Boundless Love) scholarship money to qualified students attending the No. 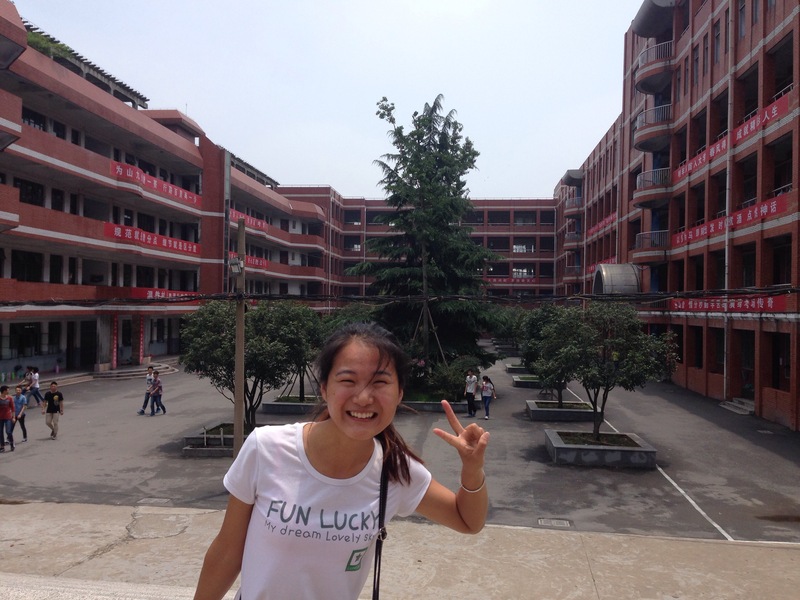 2 High School in Xinyang, Henan, China. The students are “stay behind” children, a government designation, to indicate children who have one or both parents working in other cities. These children tend to be poor with little resources available to them. No. 2 High School is also a boarding school for about 9000 students. We ate in the school cafeteria for lunch. It was a real assembly line. Two floors of cafeteria holding 3000 students each. The students eat in rotations. 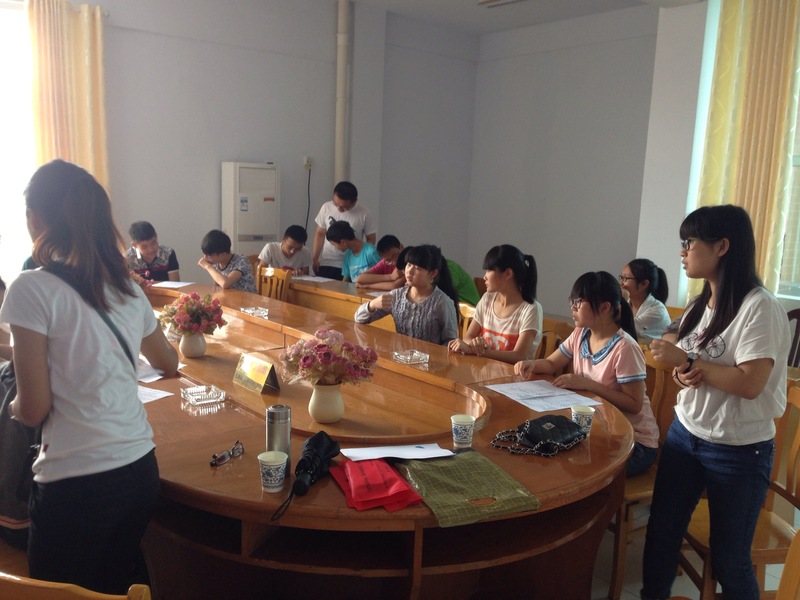 The Bo Ai scholarships are from U.S. Donors to help subsidize the student’s room and board expenses. The government pays for their tuition. We are working with a local nonprofit organization, “Mei Wen” to build its own infrastructure of Chinese donors for these students. We are making progress. It is great to be part of a noble work for good. As educators working with Mei Wen (a registered, Chinese social enterprise in Henan, People’s Republic of China), my wife and I were excited to be introduced to the principal and administrators of the Xinyang School of Aviation Services and Vo-tech High School in the Pingqiao District, Henan. 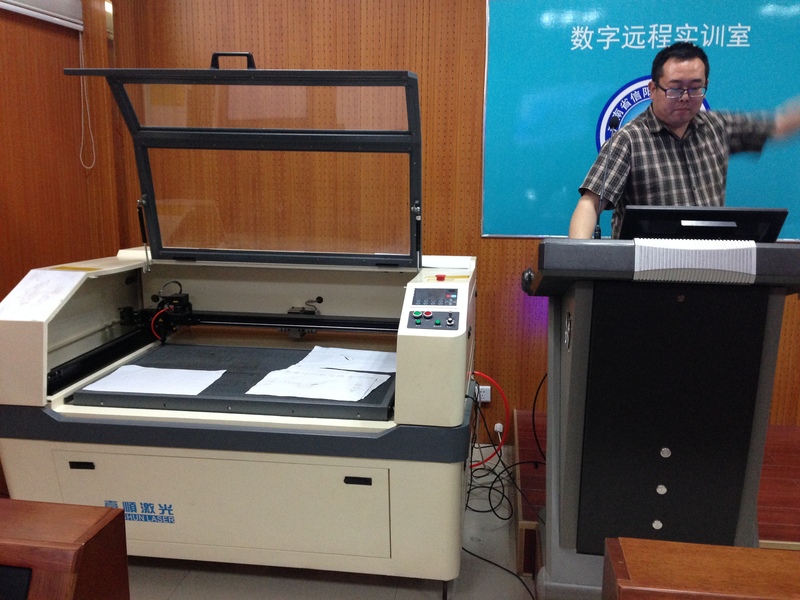 The Pingqiao Vo-tech school is the approximate equivalent of a U.S. Title 1 School, wherein, the school receives government funding to serve the at-risk child from low-income to poverty level child who are failing their academics at the Middle School level. The students who attend this school are often classified as “Stay Behind” children, meaning that one or both of their parents are working in other provinces. Often, these children come from impoverished rural families. Many have intellectual acuity but motivation due to the lack of nurture and care from loving family members. The school’s teachers serve as loving surrogate parents and extended family to these children, offering them individual care and practical, vocational skill training so that they can find meaningful employment to thrive in life. Currently, we (as Mei Wen) are in negotiations with the Pingqiao school to provide “Life Camp” programming, which will include a diversity of learning activities, games, and sports to teach students character qualities and skills that are essential to success in life, e.g., cooperation, teamwork, standards of excellence, integrity, honesty, respect, communication, and learning how to formulate, organize, and execute plans, strategies, feedback systems, and evaluation. We also will teach practical English within their vocational areas and offer teacher training, classroom observation that includes feedback on lesson planning, creating conducive learning environments, classroom management, and student discipline. Feedback will be interactive with the teacher with the aim of assisting teachers to develop skills for self-improvement. Teacher training involves discussion on teaching philosophies, discussion on best practices, character formation, teacher-student rapport, lesson planning, teaching methods and techniques and use of technology within the classroom. We are considering two Student Leadership Development retreats, one in the Fall and the other in the Spring, to select students, to further develop a students’ self-confidence and leadership abilities, using an outdoor education model that incorporates rigorous environments in which students are given leadership tasks (vision, planning, execution) and given responsibility to shape and form teams (role clarification, expectations, assessment). 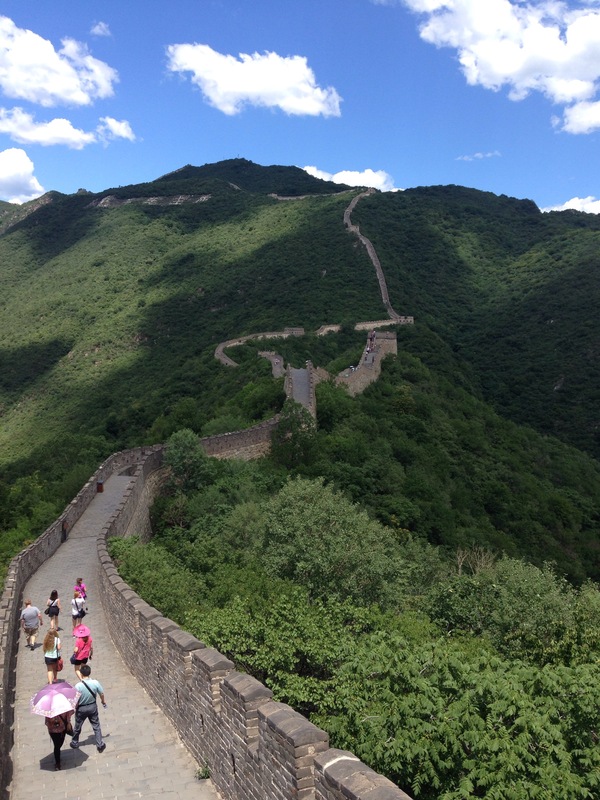 Planning is only in the initial stages, but we are excited about the prospects and the potential impact it will have on the rural student in Henan — which is why we are here in China. 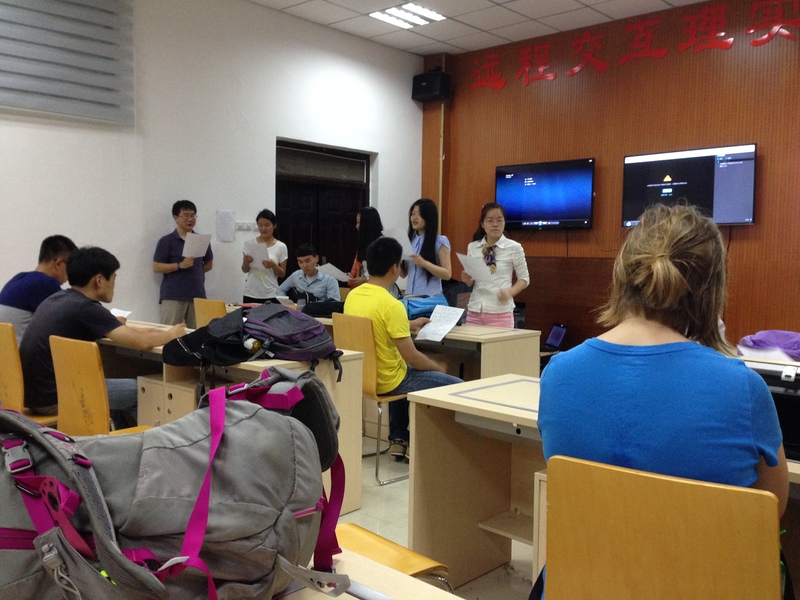 Classroom offers both real-time and recorded long-distance learning opportunities. Teacher demonstrates CAD software, smartboard, and laser rendering. 1) I miss my daughter when she also is in the process of missing us. We are learning that we just need to think in Chinese, not English, in order to understand. The Chinese language follows consistent rules of grammar that are logical. We just need to learn them and speak them. At this point, in our language learning, we are feeling “muddled.” Everything is jumbled. We just need to adjust to a new syntax. This will happen when we are more immersed in the Chinese language. It helps to have some instruction in English, otherwise, we would have no clue has to what is going on. Today we discovered from our teacher the official retirement ages, as mandated by the government of China. These ages, I understand, are mandated, with few exceptions. Think of it as compulsory retirement. The average male (see Index Mundi data below) in China enjoys 12 years or retirement before death, but a woman enjoys 27 years — but her compulsory age of retirement is much earlier, at the age of 50 years. This hit our funny bone, since my wife is the one with the work VISA at the age of 53, while I am the one with the spouse VISA at the age of 54. Both of us are investing our lives in Chinese young people. This piqued my curiosity, so I went surfing on the internet for other China demographics. Below is July 2014 census data, compliments of Index Mundi (accessed April 9, 2014, http://www.indexmundi.com/china/demographics_profie.html). There are 1.46 Physicians per 1000 people and 3.8 hospital beds per 1000 people. This year (April 5, 2015), 清明 – Qingming (Tomb-Sweeping Day), coincided with Easter Sunday. According to Wikipedia, translated as “pure brightness,” 清明 – Qingming is celebrated on the first day of the fifth solar term of the traditional Chinese lunisolar calendar. This makes it the 15th day after the Spring Equinox, either April 4th or 5th any given year. 清明 – Qingming rituals include cleaning the gravesite, decorating the tombstone with fresh flowers, lighting incense, burning imitation paper money, which is for the deceased to use in the afterlife, and paying respects through bowing three times. Recently, it has become popular to burn a wide variety of consumer goods like paper imitation iPhones, designer handbags, houses and sports cars. In some instances food is offered to the spirit of the deceased. 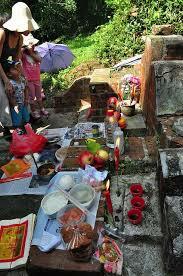 The families will eat a picnic at the graveside with their ancestors, set off firecrackers to ward against evil sprits and alert the ancestors of their respectful presence. The responsibility of cleaning the tomb falls to the eldest son (or family member), and is most likely to include only offerings of incense, paper money and flowers. 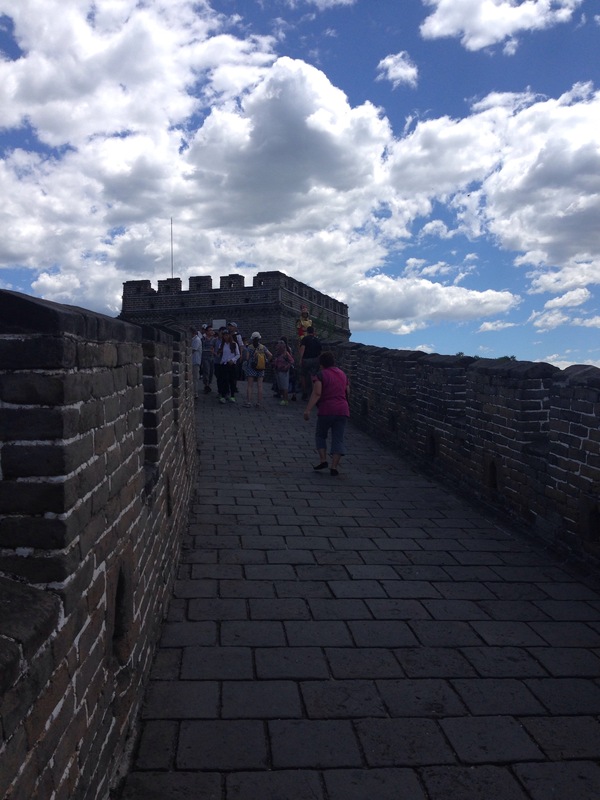 We talked with our teachers about 清明 – Qingming. They both professed to be atheists and think that the rituals associated with the religious observance are outdated and unnecessary. Neither one of them made a visit to their ancestor’s tombs. Yet, they did acknowledge that it was a personal, preference to observe the national holiday by keeping its religious significance, and, that they knew friends who did keep these traditions with varying degrees of sincerity and belief. For them, it was just part of their culture, which was in ancient times. They thought that the present religious celebration of 清明 – Qingming was more prevalent in the rural and economically depressed areas of China. If, however, reports are true that approximately 10 percent of China’s population are Christian, then April 5th was also celebrated as Easter Sunday throughout much of China. Several worship services were held by registered and unregistered churches, as well as ex-patriate churches for holders of foreign passports. We went to Beijing International Christian Fellowship (ZGC) in the XiJiao Hotel Conference Center, Haidian District, and discovered a non-denominational church with about 70 nations represented — all foreign passport holders. We were amazed at the number of Africans who were present. 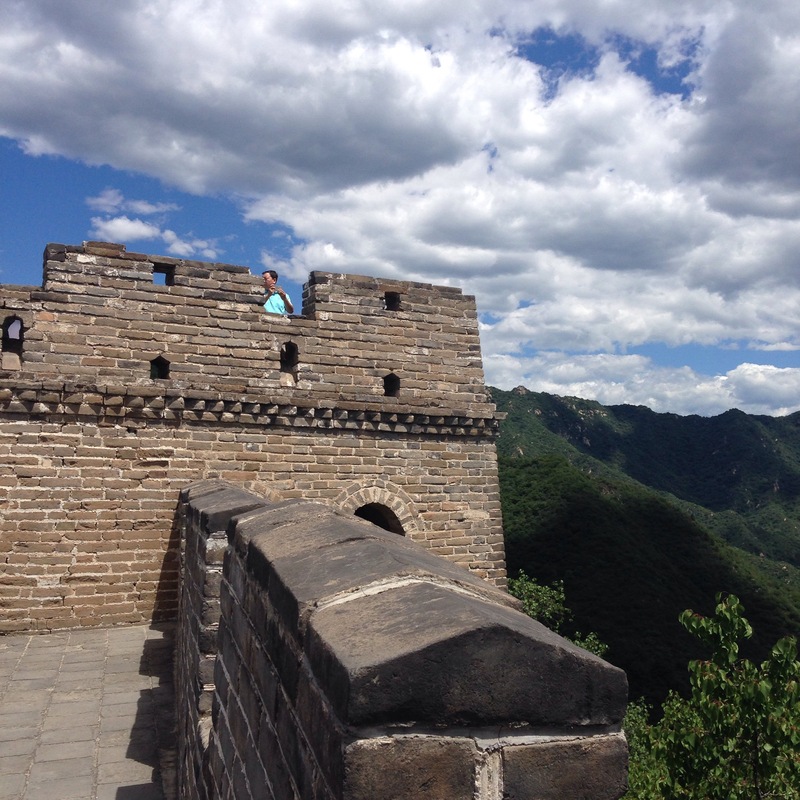 The Haidian district is home to several universities and colleges, making it an international habitat for visiting scholars and teachers from other countries. The service was held in English, but this was obviously the 2nd or 3rd language of many of the leaders and participants. The majority of those attending were from Africa. The service was a rich composition of various cultures and rhythms, featuring traditional and contemporary songs and instruments. 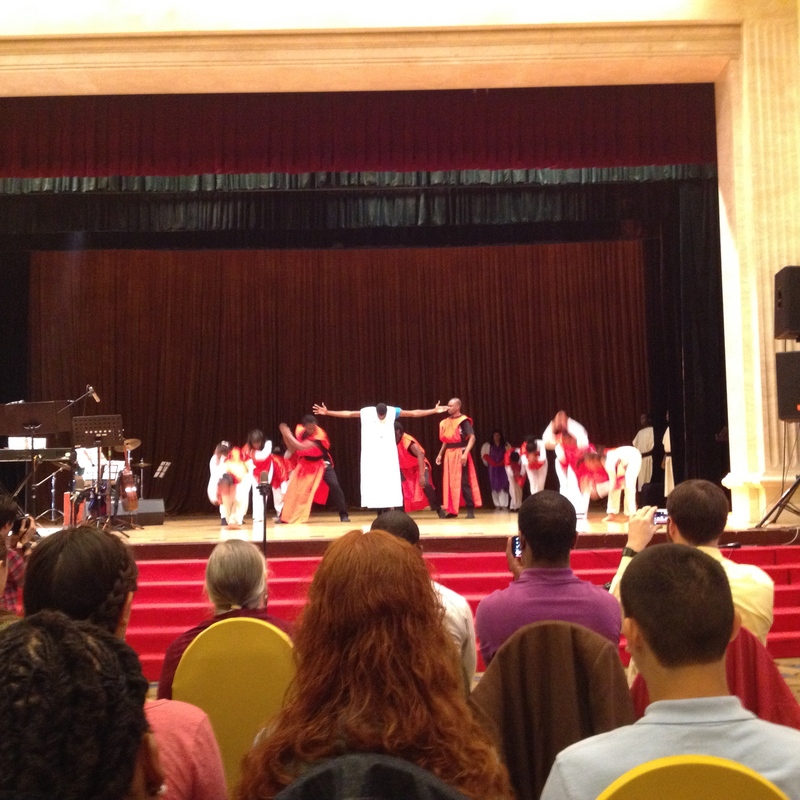 There were three baptisms: a girl from Kenya, a girl from Samoa, and a girl from Taiwan. The service opened with the traditional Easter greeting: “He is risen! He is risen, indeed!” The pastor preached on Matthew 12:1-14, a text which is not normally used for Easter. The passage focused on freedom from religious rituals that have lost their meaning, highlighted Jesus as the Lord of the Sabbath, who is greater than religious ritual. Several visiting African students from Kenya, Uganda, Rwanda, and Ghana gave plain, simple and heart-felt testimonies, all who expressed joy in knowing the great love of the Father who sent his son, Jesus to die on the cross for our sins, but who rose again on the third day so that we might have eternal life. 清明 – Qingming (Tomb-Sweeping Day) and Easter Sunday, both on the same day. One group visits a tomb with bones. Another group visits a tomb without bones. Still another group does not visit any tomb at all. Welcome to China! Pitter-Patter Feet Can Mean Only One Thing … A Female Bulldozer is Coming! 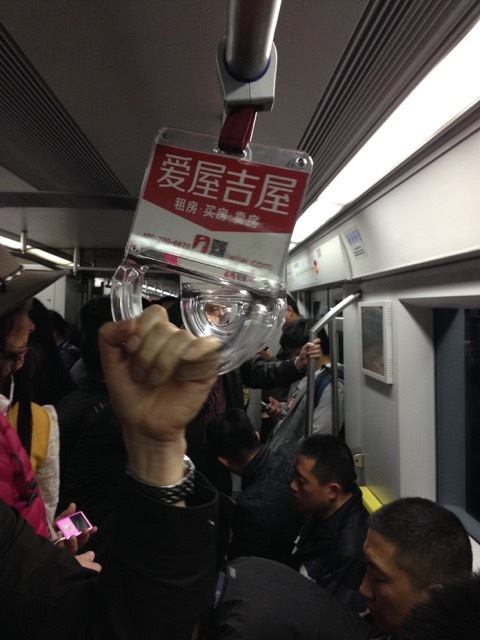 I was in a crowded Beijing Subway system navigating the intricate intersections of colliding surges of mass humanity, all in a hurry to get somewhere, when I heard the sound of “pitter-patter” feet above the din (the rapid succession of beats made by stiletto heels striking the granite subway floor. Honestly, I did not know, at first, what hit me. It was a slim, 5’6” woman wearing eye-glasses in her 20’s carrying an oversized purse in one arm, which she wielded deftly as a machete to cut down jungle overgrowth, and 2-3 shopping bags in the other arm, which also served to widen her girth, as a bulldozer leaves a swath of fallen uprooted earth. Evidently, several young woman employ the same strategy. If you appear in a hurry, wear stilettos, and are able to generate the requisite pitter-patter sounds, you have the right-of-way, or, at least, conventional, polite human protocols in subway systems are temporarily suspended and do not apply to the same. 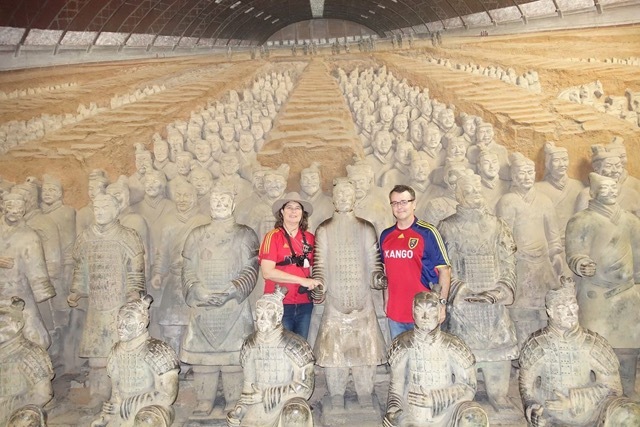 I inquired about this experience with our Chinese language teachers, who are all women. They laughed. It was as if, I had cracked a cultural code. Not only do you need to generate the required sounds, bear parcels of burdens, but you also need to make the appropriate sounds, which are like squeals of excitement, always looking ahead, as if you are trying to catch up to someone, and you act completely surprised, even hurt, if someone challenges you for being reckless. It is their defensive strategy for constantly being pushed around and jostled by larger, bigger, and stronger men (and some women). The next time, I hear pitter-patter feet, I am going to get out of the way, as quickly as possible. It just isn’t worth the confrontation. And, it is just part of Chinese culture. Welcome to China!